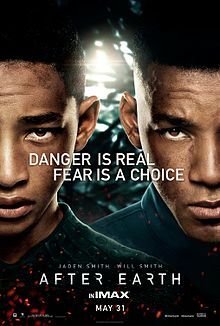 Cliff talks with Humboldt County Film Commissioner Cassandra Hesseltine about the filming of "After Earth," the film by M. Night Shyamalan staring Will Smith and his son Jayden. Cassandra gives us a behind the scenes look at what it was like with with M. Night Shyamalan and Will Smith. A rare pair of passes to the Sneak Peak and reception were given to the first person who could rap like Will Smith. The winner was Denis Mayo. Worth listening to this interview just for that! There are still a few tickets left to the sneak and reception and can only be purchased from the Humboldt Fim Commission website. The reception begins at 6:30pm at the Broadway Cinema and are $20 each.